Nevada is not just about Las Vegas! Here are some amazing road trips that you do not want to miss. Planning to go to Nevada just for Las Vegas? 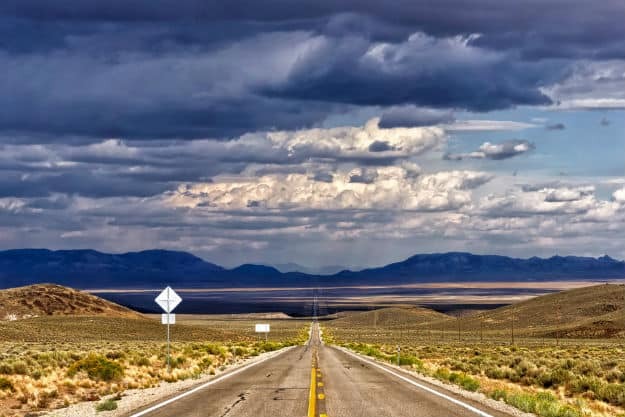 Your trip to Nevada is definitely incomplete without the breathtaking road trips this beautiful state has to offer beyond the city of casinos. (ALSO SEE Photos of Yosemite National Park That Try to Capture Its Untamed Grandeur) Here are a few amazing road trips you must take in Nevada which will double up your excitement and desire to visit the state. This road trip will give you some of the most unique and rampant free-range art you’ll ever discover. Start your two-day trip from Las Vegas to Tonopah with a visit to Seven Magic Mountains, a colorful large-scale public artwork featuring seven 30- to 35-foot-high fluorescent totems comprised of painted, locally-sourced boulders. Take a detour to Goldwell Open Air Museum and Rhyolite Ghost Town. The museum is the home of seven larger than life sculptures and the well preserved ruins of Rhyolite. Grab a meal at the Pittman Café inside the Mizpah Hotel for some amazing traditional American cuisines and the Tonopah Brewing Company for some barbeque and brewery’s craft beers. End it with the Tonopah Historic Mining Park and Central Nevada Museum to explore the rich history of Central Nevada. This five-day trip from Vegas to Ely could not offer more to add to your most wonderful experiences of the U.S. Start your trip with Valley of Fire State Park and learn about Petroglyphs-ancient rock art by exploring trails through area canyons. Visit the Kershaw-Ryan State Park and the Beaver Dam State Park for some fishing and hiking. Head to Cathedral Gorge State Park the following day for exploring narrow siltstone canyons. 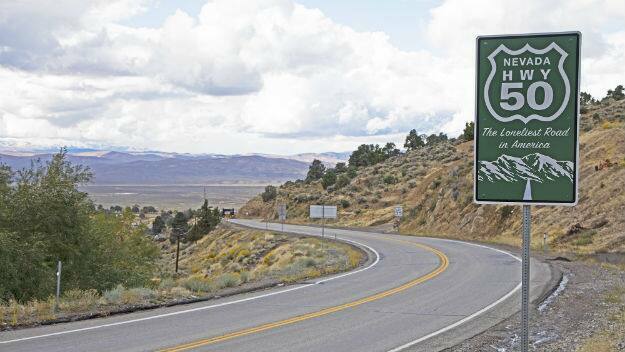 Then in the town of Pioche, have a look at the Million Dollar Courthouse and Boot Hill Cemetery to see the old jail and an old aerial tramway. 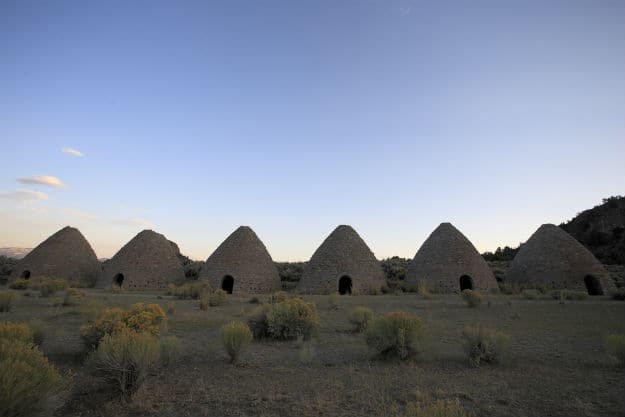 Do not miss the photo opportunity at the Ward Charcoal Ovens State Park which has beehive-shaped ovens where charcoal was made in the late 1870s. Cave Lake State Park, a must visit which hosts two of Ely’s biggest community events, the White Pine Fire and Ice Show, and also The Great Bathtub Races. Then finish your road trip with the famous Great Basin National Park which is known for its prime stargazing conditions. This two day trip from Las Vegas to Tonopah is all about the stories about aliens, space-crafts, UFO and Area 51 like learn about the famous Area 51 at National Atomic Testing Museum, get clicked next to ET Fresh Jerky’s cool alien murals, stop by the Alien Research Center gift shop and Little A’Le’Inn, a roadside stop that includes a bar, restaurant and a motel. Ending the trip with Tonopah Historic Mining Park and Central Nevada Museum. Start your trip in Elko which is known for its cowboy and ranching traditions. The upper part of the Lamoille Canyon Scenic Byway has several trails to offer to the hikers. Also during winters, visit the tiny community of Lamoille for heli-skiing at Ruby Mountains Heli-Experience. Following day take a trip to Angel Lake,Jarbidgeand Ruby Lake National Wildlife Refuge for the amazing scenic beauty, fishing, boating and watching wildlife. So don’t miss the chance to explore the city and plan your next vacation to Nevada.